Summary (from the back of the book): He couldn't listen to music or talk on the phone without her jumping all over him about what they listened to up in Maine, or how he better nto go up to Maine and start acting ghetto. Maine. Anthony's mother didn't even know where it was until he'd shown it to her on a map, but that still didn't stop her from acting like she was born there. Anthony "Ant" Jones has never been outside his rough East Cleveland neighborhood when he's given a scholarship to Belton Academy, an elite prep school in Maine. But at Belton things are far from perfect. Everyone calls him "Tony," assumes he's from Brooklyn, expects him to play basketball, and yet acts shocked when he fights back. As Anthony tries to adapt to a world that will never fully accept him, he's in for a rude awakening. Home is becoming a place where he no longer belongs. 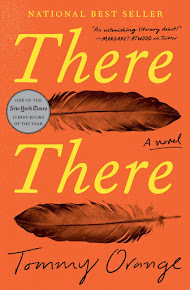 Review: Great debut novel! The story is compelling, the characters interesting, and it pulled me in. At first I felt like the African Americans were just stereotypes (gangsters, poor, using the "n" word with one another, selling drugs, drinking at a very young age, etc). I was afraid this was going to be a book of stereotypes and predictability. Boy was I wrong. First off, I decided to read the blurb about the author. Turns out he was the boy from East Cleveland who ran with gangs and ended up at an elite boarding school! Trust me, that gave the book and the story much more clout. 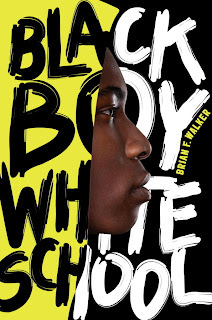 Black Boy White School deals with a lot of issues and does it in a realistic way. Anthony confronts racism from classmates, townspeople, and teachers as well as his own prejudices about white people, rich people, and Maine. Both sides have a lot to learn and they don't necessarily do it by the end of the book. Friendship is also an important theme in this book. Anthony's friends in Cleveland would do anything for one another even though they are playing a dangerous game and putting each other in harm's way. In Maine, Anthony has to choose who he will be friends with: his roommate and other (white) classmates who are very different from him or the 5 other African Americans on campus. Either choice has its drawbacks. If you're looking for a book that makes you think, this is a good one.